Some of the American pioneers' greatest pleasures came from what we take for granted today. 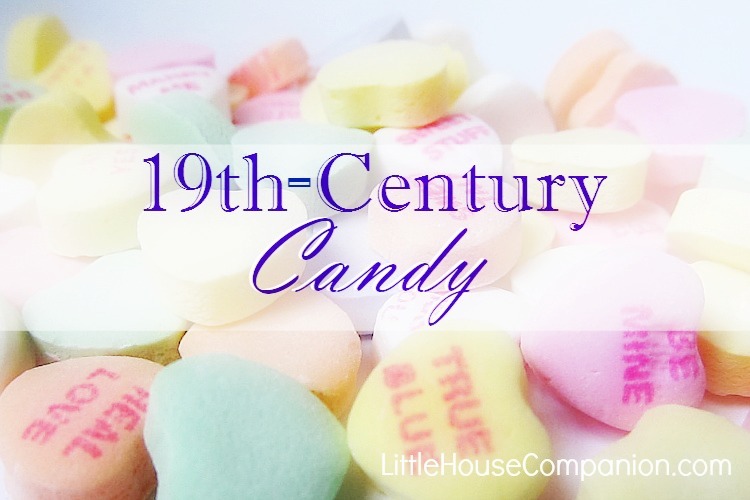 Some of the candy we enjoy today was invented in the nineteenth century. Storekeepers kept candy on hand for their customers. 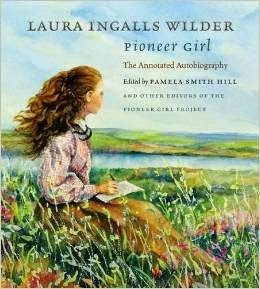 Here's a description of Laura Ingalls Wilder's first candy heart experience in Pepin, Wisconsin from Little House in the Big Woods. The pieces of candy were exactly the same size. Laura's printing was larger than Mary's." Though conversations hearts have changed some, they were first invented in the 1860s by the NECCO candy company. They are the best-selling Valentine's Day candy today. Chewing gum has been around for thousands of years. The first patent was given in 1869, and the first flavored chewing gum, called Black Jack, was sold in 1884. Black Jack gum was still sold until recently. Still popular Juicy Fruit was introduced in 1893. Candy corn was first made in the 1880s. 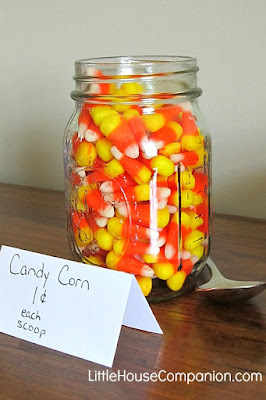 Though the method of preparing candy corn had changed, the makers still use the original recipe. Twizzlers candy debuted in 1845 from the Young and Smylie confectionary firm. Licorice was the original flavor. Leo Hirschfield invented the rolled chocolate Tootsie Rolls in 1896. They sold for a penny. 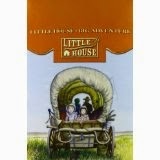 The Little House books often mention peppermint sticks as a sweet treat, too. Lemon drops were another popular candy in the 1800s. Chocolate did not become popular in candy until the 20th-Century. Remember Laura's joy over her stick of candy? What's your favorite 19th-century candy?